Weather: Light Breeze, High Cloud Cover. 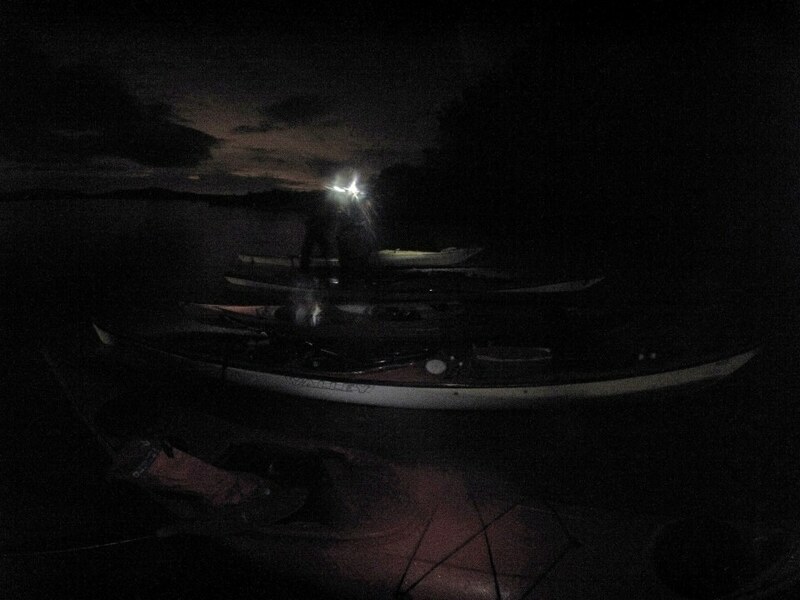 Report: The pleasure of paddling at night is difficult to explain; perhaps it is the increased sense of space and calm. Anyway this trip confirms what some of us already knew, that there is a sense of magic about it. Because of the north westerly breeze we chose the islands of Loch Lomond. Despite innumerable trips around the islands they present a real navigational challenge as all the islands and hills “blend” together and obvious through routes disappear. As an example it was never clear when we had crossed from Inchmoan and were rounding the south tip of Inchcruin. We set off at 9.30 as complete darkness descended, without any clear plan. After a noisy departure (weddings at the Lodge) and a Laser Disco on Inchconnachan we entered a world of silence and calm. At the pier of Inchcruin we stopped for a break and something to eat and drink. I believe the photo may have been taken there. It was a weird contrast to the picture taken at the same pier a few reports ago. At the end of Inchcruin we could see the lights of Luss and headed directly for them. In just about 30 minutes we were back on the beach (about 12.05). 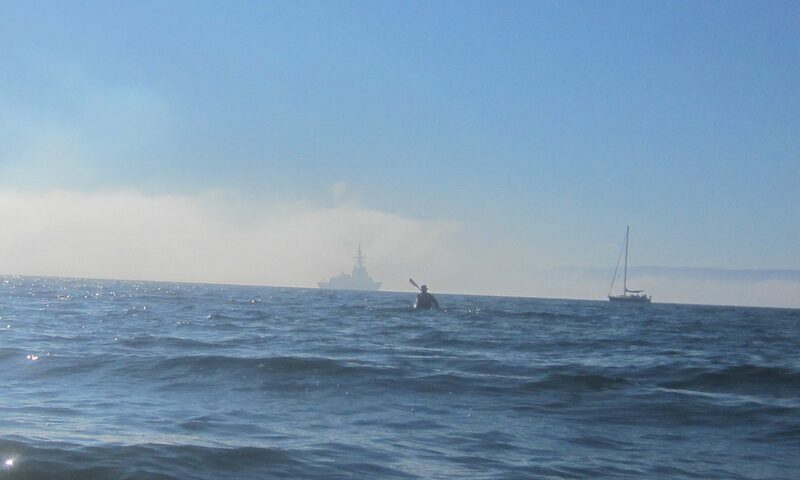 It was a wonderful night, so next time some idiot suggests, on a cold damp, overcast day, a night paddle DO IT. You will not regret it.